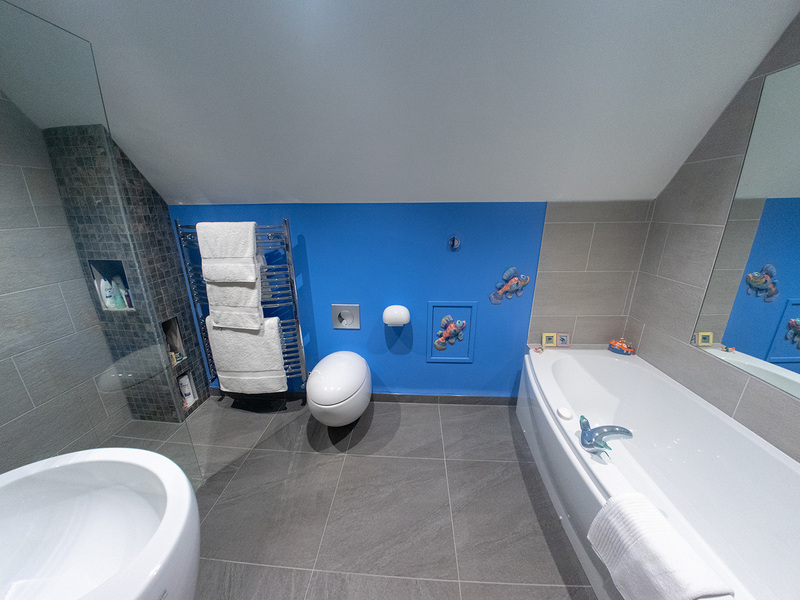 This family bathroom project developed after Cannadines carried out the initial survey following our first meeting with the homeowners. They initially got in touch with Cannadines hoping we could fit a shower cubicle into this space. At the time, however, the entrance door to this bathroom was located at the far end from the bath. Once the survey was completed, it became clear that the best option would be to block up the existing doorway and create a new entrance in the centre of the same wall. 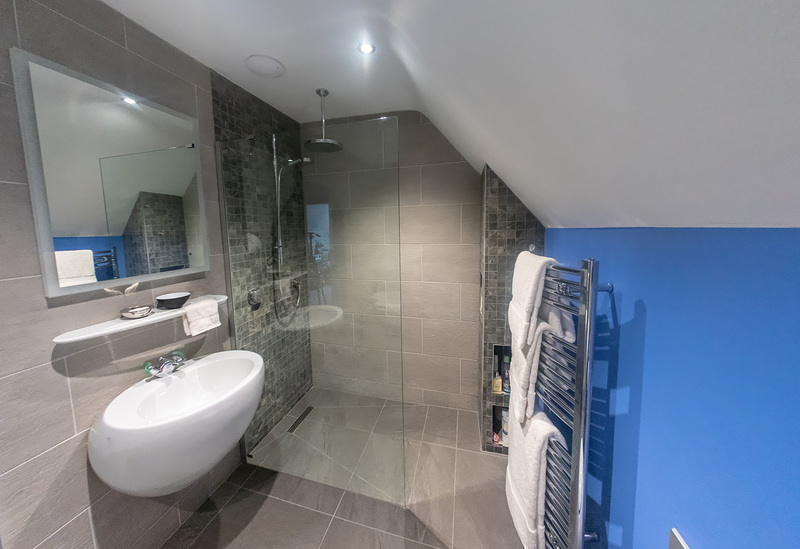 This new doorway was fitted with an opaque sliding door from the main bedroom to the bathroom, giving the bathroom some much-needed extra room. 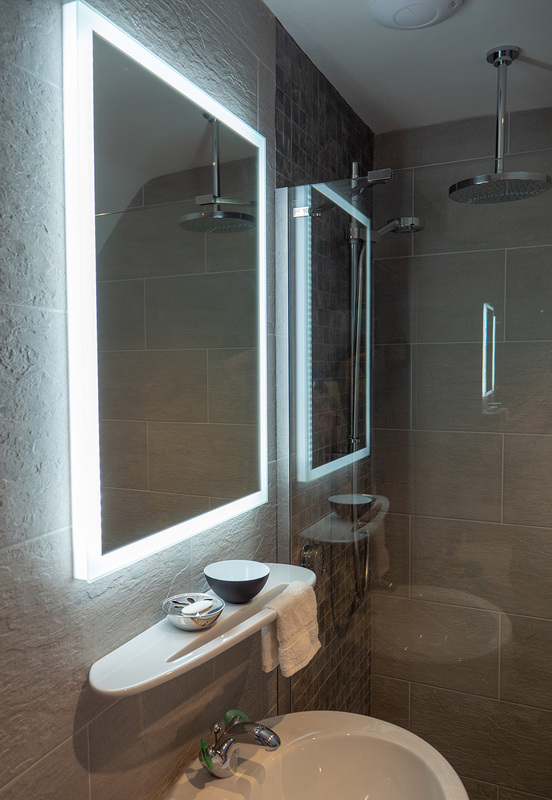 With this extra space we were able to design a wonderful walk-in shower cubicle complete with Aqualisa digital shower, fulfilling the initial brief while at the same time giving this family a much bigger bathroom in an ultra-modern style. For the wet area, an Orbrey wet room installation kit on the walls and the floor provides a 100 per cent waterproof finish. 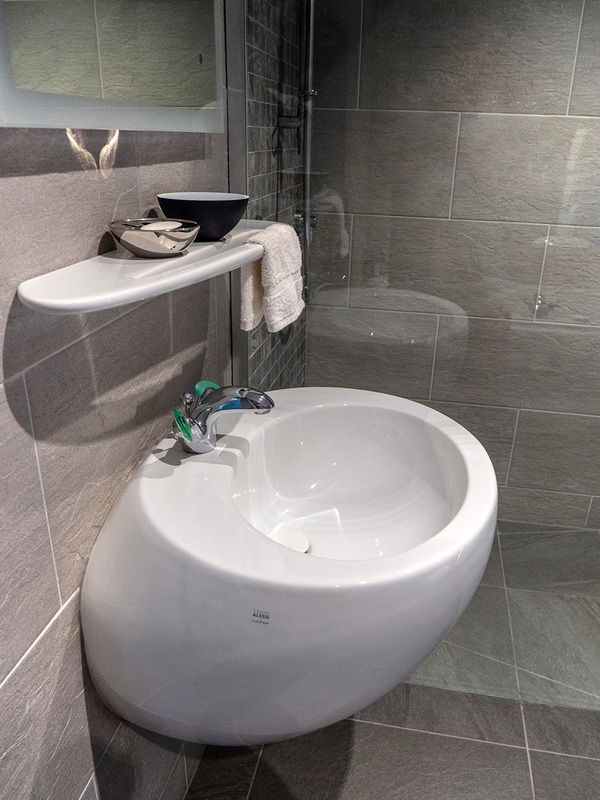 Wall-hung Duravit sanitaryware added a contemporary feel to the bathroom, maximising space under both the basin and lavatory. Finally, some handy storage niches were added in the corner of the room underneath the sloping ceiling, finished off in a chrome trim.